We're starting to near the end of Jen's twenty-seventh week of pregnancy. Last week I opted for lettuce because the other produce-pregnancy chart recommended cucumber. This week was easy because both charts I follow came to a rare consensus: cauliflower. It's still curious to me how they compile these lists since I think eggplant is often more sizable than cauliflower. However, so long as I ignore the fact that cucumbers exist (something I do on a daily basis) I feel that we are on good footing. 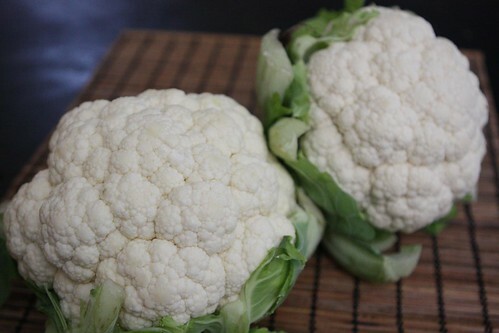 This week Jen is the host to two heads of cauliflower. Since the farm share has not started for the season I could still make the ill-informed decision to purchase two entire heads of cauliflower in honor of the babies and then figure out how we are going to eat that much cauliflower later. 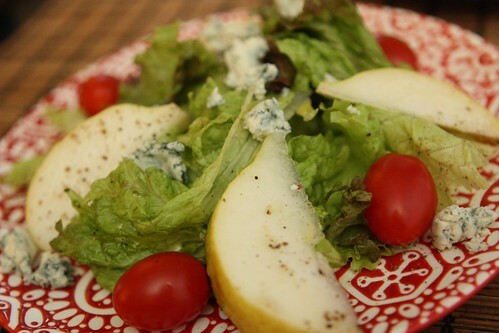 Before figuring out what to do with that much cauliflower I put together this salad with red leaf lettuce, D'Anjou pear, blue cheese, grape tomato, salt, pepper, and olive oil. 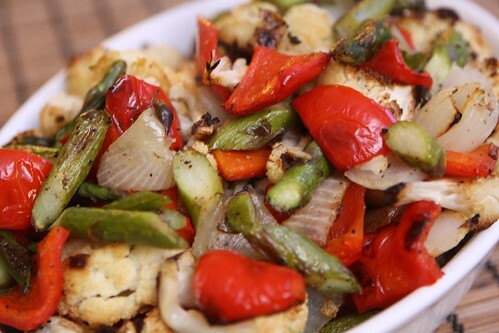 I ended up roasting the cauliflower in the oven with some onion, red pepper, asparagus, and olive oil until the cauliflower had browned slightly. It's hard to tell in the picture but this dish was mostly cauliflower. 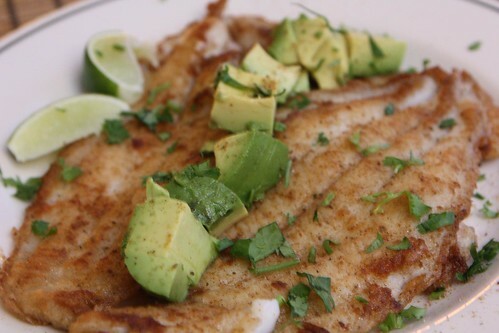 For the main course I was impressed with some Dover Sole that I spotted at my local fishmongerie so I picked some up, seasoned it with a little Old Bay, dredged it lightly in flour, and pan fried it with butter and olive oil. I served it with chopped up avocado, lime juice, and cilantro, some leftovers from our recent Cinco de Mayo festivities. And by festivities I mean lame Saturday night at home. 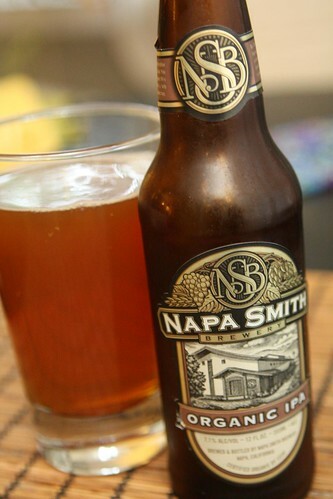 For beer I tried this new Organic IPA from Napa Smith Brewery. Well, it's new to me, anyway. I hadn't seen this in New York until a few weeks ago and now it seems to be popping up everywhere. It's a pretty tasty IPA, though I may be starting to settle in to IPA fatigue. I've really gained a solid appreciation of the style in the past year or two but it's starting to get a little overwhelming how many there are these days. This was a very enjoyable beer and the first beer I've had that features my initials on the bottle. The other day on our exhausting 20 minute stay at the local mall we were ambushed by some Girl Scouts who sold us three boxes of their cookies. This was considerably easier than last year when we made the stupid decision to make our own Girl Scout cookies. 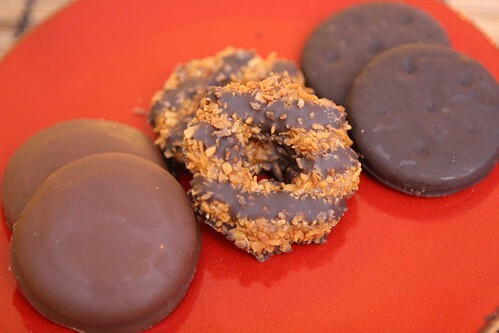 While the results were delicious I can't recommend it as an alternative to buying actual Girl Scout cookies. They may be a little more delicious when they're home made but the deliciousness comes at a huge cost and that cost comes in the form of a significantly higher price tag and the loss of two afternoons. Combined we were only able to consume about half of a cauliflower so it looks like we've got our work cut out for us for the rest of the week. Jen's really going to hate this.